Top Quality - Our standard range of Woven PP sacks are made from 10x10 weave (tapes per inch) 800 denier (tape thickness) Woven Polypropylene. We only use virgin grade polypropylene with UV protection - no regranulated or recycled material! 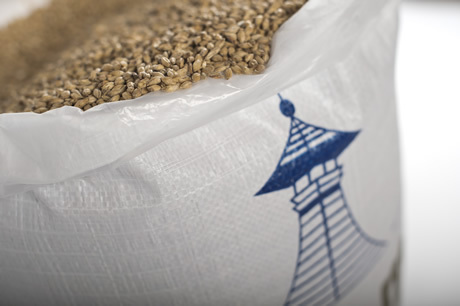 Standard bags have a securely stitched base plus a hemmed (folded stitched edge) mouth for ease of opening. • Inside Laminated bags with a heat cut mouth to prevent edge fraying - excellent for keeping moisture out & dust inside. 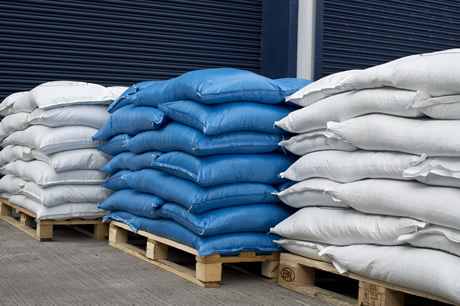 • For extra protection we supply Sacks with separate Polythene Liners – loose or sewn inside. • Bags with gussets are great if you want a more square sided pack. 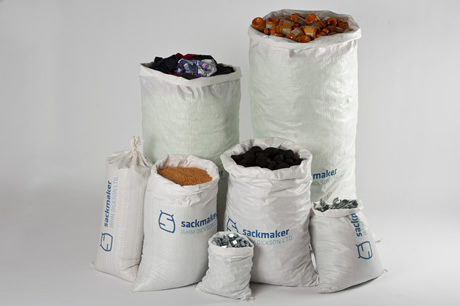 • Coloured sacks, Drawstrings & up to 4 colour printing are also available to special order.